1 Who is Aaron O’Connell? Born Aaron John O’Connell on the 8th April 1986 in Dayton, Ohio USA, he is an actor and model, perhaps best known to the world as Wyatt Cryer in the TV drama series “The Haves and the Have Nots”, created by Tyler Perry and aired on the Oprah Winfrey Network from 2013 until 2017. Aaron is the son of Mark O’Connell, a retired American Football player who played for the Cincinnati Bengals in the NFL, and his wife, Kathryn Deble O’Connell. Aaron is the only son, with three sisters -Amy, Abby and Anna. Aaron went to Cathedral High School, from which he matriculated in 2004; during his high school years, he showcased his athletic skills by playing football, basketball and baseball, and following matriculation, Aaron enrolled at Purdue University’s College of Health and Human Sciences, from which he graduated with a bachelor’s degree in Health and Fitness. Aaron became a model while in college; spotted by talent agents during his time at Purdue, he received a contract from Ford Models, and after a few local commercial appearances, Aaron was invited by GQ and Vanity Fair, and later Vogue, Arena Homme +, Vogue Paris and many others, to be featured in their commercials and campaigns. This led to further contracts with such brands as Abercrombie & Fitch, Lucky Jeans, Hanes, Ralph Lauren, Champion and Jockey among others, which certainly helped him increase his popularity and wealth. 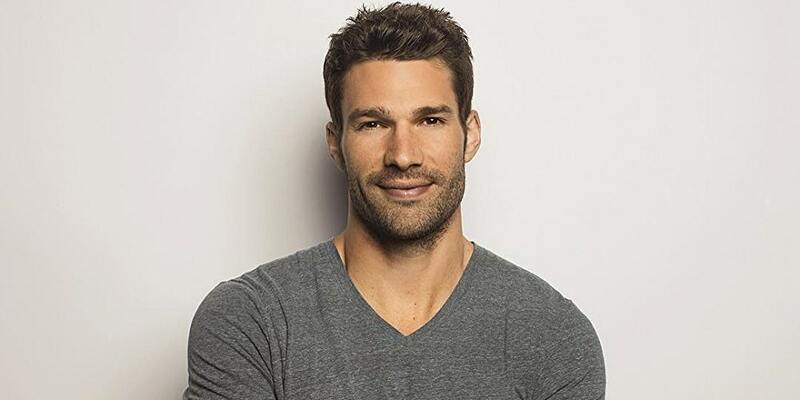 Thanks to his early success in commercials and campaigns and his frequent appearances on TV screens – particularly in a commercial for Liquid-Plumr – he caught the attention of writer and director Tyler Perry, who immediately cast him in his first television role, in the part of Wyatt Cryer in the TV series “The Haves and the Have Nots” (2013-2017). The part of Wyatt Cryer turned out to be a career move for Aaron; he appeared in over 85 episodes of the highly praised crime-mystery drama which really jump-started his acting career, earning praise for his portrayal of Wyatt, the son of Jim and Katheryn Cryer, showcasing his acting skills as a struggling drug addict. After this success, Aaron decided to further pursue an acting career, and his next role was in the romantic drama film “LAID: Life as It’s Dealt”, also in 2013, while in 2015 he had the lead role in the romantic comedy film “12 Gifts of Christmas”, co-starring Katrina Law and Donna Mills. The following year Aaron featured in another Christmas film – “My Christmas Love” – and continued in the same rhythm in 2017, as he starred in “With Love, Christmas”, next to Emilie Ullerup and Rebecca Davis. Most recently, Aaron had roles in the drama film “Runnin’ from my Roots”, and in the action film “Black Water”, starring Jean-Claude Van Damme, Dolph Lundgren and Patrick Kilpatrick, both in 2018. Clearing rooms on the set of #BlackWater as CIA Agent #EllisRyan Big props to the Set Dec. for turning the Barton Academy into a freakin' sub. Have you ever wondered how rich Aaron O’Connell is? Though his career has really only just started, he has already secured a number of acting roles, and his modeling career has also helped his net worth. So, let’s just see how rich Aaron is. Well, according to authoritative sources, Aaron’s wealth is estimated at over $700,000, earned through his successful dual career. A windows down kind of day. ? In awe of airplanes, Aaron just adores to fly, and started taking flying lessons, so in 2013 became a licensed pilot. Since then he has become an instrument-rated pilot and has flown for the charity “Pilots ‘N Paws”; he flies dogs from pounds to the families that have chosen them as their new pets. In September 2017, Aaron announced his engagement to model Natalie Pack, who is best recognized as the former Miss California USA 2012. Their wedding is scheduled for July 2018. Since entering the world of entertainment, Aaron has obtained a decent fan base on the most popular social media platforms, including Facebook, Twitter and Instagram. His Instagram feed is full of photographs of himself, both from work and his personal life, which helped his popularity, and he now has more than 50,000 followers on Instagram. Moreover, on his official Twitter account, Aaron has shared details from his private life, but also from work, including the newest season of the popular TV series in which he stars, “The Haves and the Have Nots”. The same goes for his Facebook page on which he has more than 22,000 fans with whom he has shared intimate details. Here is a picture of him and his soon-to-be wife in a bridal editorial. Anyways, he has more than 35,000 fans on his Twitter account. So, if you are not already a fan of one of the most popular actors and models of the present day, then this is a great chance for you to get connected.